Register for Summer Session and Save! Save $50 per credit hour up to 6 credit hours! 100 things to do on the BGSU bucket list! The BGSU bucket list is a list of the top 100 things to do before you graduate! You can check it out on the BGSU Bucket List website. How many items can you cross off? 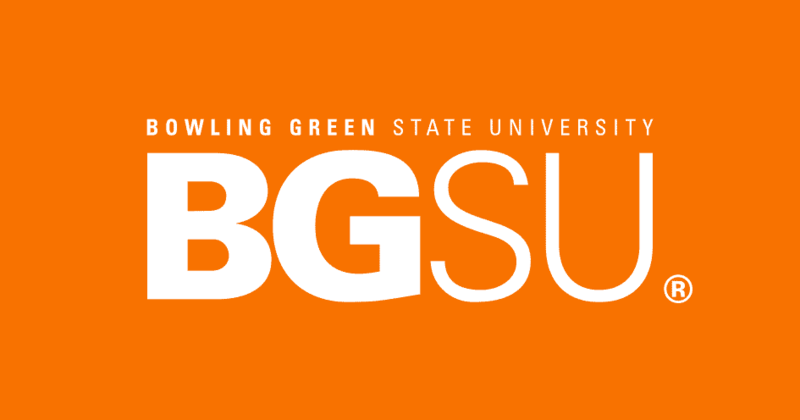 BGSU is partnering with Cedar Fair to offer a Bachelor's of Science in Resort and Attraction Management beginning fall of 2020. A bachelor of science in public health with an environmental health concentration will prepare students for a career as an environmental health professional. The Human Development and Family Studies (HDFS) program focuses on the study of human and family development across a lifespan. Prepare for a leadership position in the growing field of exercise science. This nationally accredited program features two specializations: exercise programming and sports medicine. The Health Science degree program is designed to tailor a liberal arts education to the healthcare field. The world is surrounded by graphic design, people rely on graphic designers to help access and make sense of the massive amount of information absorbed daily. Focusing on preparing you for a professional career in fashion working in everything from textiles and merchandising to product development, CAD and brand representation. Designed for students interested in forensic science as it applies to impression evidence analysis and comparison, as well as other trace evidence examinations. Russian is an important language in Eastern Europe and Central Asia, regions that continue to experience fundamental economic and political change. Bowling Green State University offers a number of options for students who wish to explore various programs before choosing a major. The Art Education major is designed to support the development of art teachers for children and adolescents in pre-K through 12th grade education settings. The Health Science specialization is designed with course choice options that (with the approval of an academic advisor) allows students to tailor their academic program to best fit their career goals. The curriculum will fulfill admission requirements to most medical, dental, veterinary, and graduate programs in biological sciences, when courses are properly chosen. The Master of Public Administration (MPA) is the professional degree for individuals preparing for leadership roles in public service such as working in a non-profit, for government or higher education. Aviation Management and Operations focuses on the day-to-day and long-term business aspects of the aviation industry. The Adolescence to Young Adult program provides students with a variety of experiences that will enable them to become effective teachers. Students complete extensive coursework in specialization areas they plan to teach. Media studies graduates find careers in media programming, sales, management, marketing, and research at public and commercial radio and television, cable television, telephony, social media, advertising, and education companies and organizations. The Art minor allows you to acquire foundational knowledge of the discipline of Art. The minor in Arts Management emphasizes entrepreneurial skills focusing on innovation, risk taking, and communication. The Fire Administration (FIAD) program prepares graduates to handle the challenges facing chief officers. lid foundation for success. Adapted Physical Education Endorsement program is officially recognized by the State of Ohio as an endorsement for multi-age physical education license holders. This program responds to the growing demand for individuals to successfully communicate in a global environment. You will take courses like conversation across cultures and french for professions. The Digital Arts program is one of the leading programs in the nation for studying digital arts and animation, focusing on creative expression using digital technology. You will find outstanding faculty members and a broad range of studio and academic disciplines united by a deep commitment to creativity, scholarship, and sustained by rigorous examination. Nutrition sciences in the College of Health and Human Services is a science-oriented degree program that emphasizes the intensive study of physical and biological sciences. Popular culture studies everyday life, including but not limited to everything that is mass produced by us and for us. Its subject matter is the world in which we live, relax and have fun. The learning design master’s program prepares you to take a leadership role in teaching, training and development in virtually any work environment, focusing on developing leadership potential. The Studio Art Division prepares students with a solid foundation across the disciplines of ceramics, drawing, glass, jewelry/metals, painting, photography, printmaking or sculpture. The Bachelor of Visual Communication Technology provides students with creative and technical skills in print, photography, video and interactive multimedia to design visual messages. Spanish Language Education prepares students for a career teaching one of the eight languages licensed by the State of Ohio. The adolescence to young adult AYA program prepares graduates to teach grades 7-12, and to obtain an Adolescence to Young Adult teaching license in Integrated Social Studies Education. 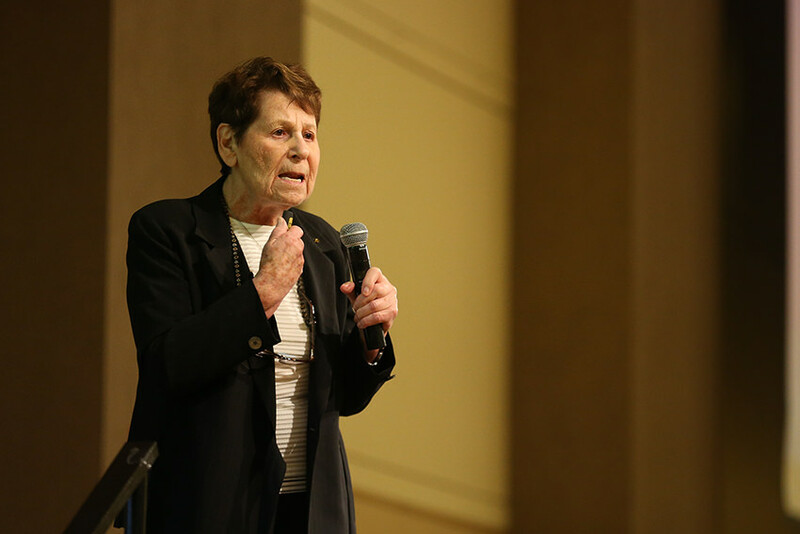 The adolescence to young adult AYA program prepares graduates to teach grades 7-12, and to obtain an Adolescence to Young Adult teaching license in Integrated Mathematics Education. The adolescence to young adult AYA program prepares graduates to teach grades 7-12, and to obtain an Adolescence to Young Adult teaching license in Integrated Language Arts Education. Enroll as an undecided major and receive advising about science and mathematics, social and behavioral sciences and humanities majors. The theatre majors at BGSU are designed to create well-rounded individuals with a wide knowledge base in the liberal arts, as well as youth theater. The bachelor of science in social work prepares graduates to engage in social work practice with diverse populations in a variety of settings and to take the national licensing exam. Engineering technology prepares students for careers that require an understanding of engineering principles and hands-on skills that allow them to design, analyze and develop mechanical prototypes. Enroll with a career choice in mind, but as an undecided major and we'll help you define a major that prepares you to be a qualified professionals in business, industry, government and education. Dependent upon backgrounds and interests there are countless ways students can prepare for dental school through BGSU’s pre-dentistry program. The program will produce graduates ready for the workforce of Tomorrow that are prepared for successful careers in the areas associated with the analysis, applied design, development, implementation, and oversight of advanced manufacturing factories. The liberal studies degree program at BGSU offers a unique opportunity for students to create a bachelor’s degree tailored to their interests and needs. Electro-mechanical Systems Technology (EMST) major is focused on developing graduates' skills to meet the demands of modern integrated electro-mechanical systems. Health care professional schools at the graduate level typically require a greater depth of understanding in the natural sciences (e.g., biology, chemistry, physics) than is required as a minimum for the Bachelor of Science in Biology. Management and Technology is one of the most flexible and relevant degrees you can achieve to advance your career and obtain a high demand skill set critical in any organization including business, education, military, healthcare and manufacturing. Turn your associate’s degree or university credits into a Bachelor of Science in Business Administration through our online program designed for working adults desiring to turn their university or community college education into a bachelor's degree. Broadcast meteorology minor is available to journalism and telecommunication majors. Digital Arts courses investigate the theoretical, aesthetic, and technical aspects of the digital arts while providing hands-on experiences with state-of-the-art equipment. Mathematics drives developments in telecommunications; medicine; computers; finance; insurance; weather forecasting forecasts; car and airplane design, and many more. Graduates of the quality systems degree completion program will be qualified for high demand, high paying positions in major industries. Enroll as an undecided major and receive advising about liberal arts-communication, social and behavioral sciences and the arts majors. BGSU offers courses for students interested in a pre-veterinary medicine program. Although BGSU does not grant a pharmacy degree, students have the opportunity to enroll in several years of pre-pharmacy courses in preparation to transfer. BGSU offers the pre-optometry courses needed by students wishing to pursue a career as an optometrist. Occupational therapists help people who have physical and/or psychological challenges maximize their ability to perform daily living, work and leisure occupations. There are numerous ways students can prepare for medical school through BGSU’s pre-medicine program. Medical schools in general expect students to have a bachelor’s degree before entering. The Pre-law interdisciplinary advising program that seeks to assist students in developing abilities considered by the Association of American Law Schools (AALS) to be basic to prelegal study. Pre-engineering is a one- to three-year program within the physics department at Bowling Green State University. Philosophy asks the most fundamental kinds of questions concerning the nature of reality, society and humanity. To learn philosophy is to form a personally meaningful view of the world. Nursing program provide research/theory-based nursing care to healthy and ill individuals, families and communities in diverse health care settings. The marine biology program, offers courses in aquatic and marine science and provides the opportunity to earn an undergraduate degree in biology with an emphasis in marine and freshwater science. Neuroscience represents one of the most vibrant fields of research in science today. As an interdisciplinary field, there are few other areas that encompass such a broadly based exchange of ideas. 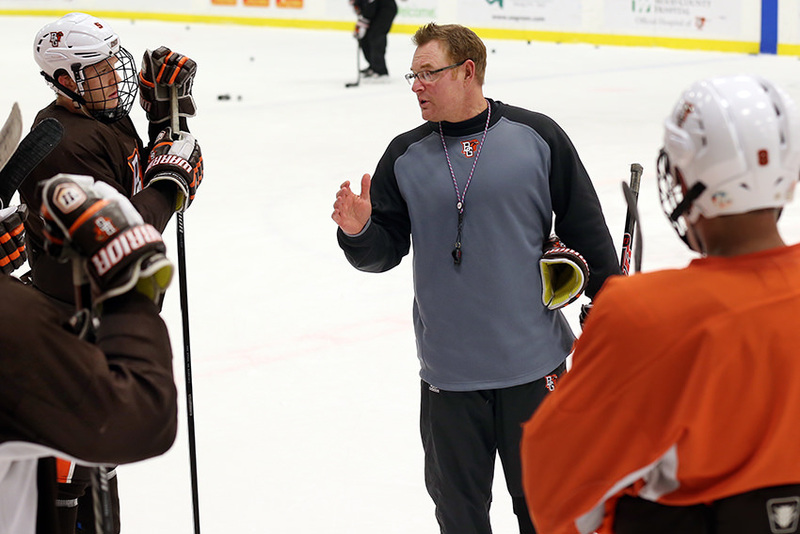 BGSU is nationally known for outstanding graduates in sport management. From sport licensing to sport marketing and sport business, your opportunities are waiting. BGSU’s nationally ranked Digital Arts program is for students who want to study digital arts, 3D animation, digital imaging, interactive art, video art, gaming, mobile web apps, digital painting. The Bachelor of Science in Communication Sciences and Disorders prepares you for graduate education as a speech-language pathologist, audiologist, and/or a speech, language or hearing scientist. The flexible German program meets the needs of majors and minors as well as those who simply want to learn the language. The Master of Science in Computer Science degree provides students with added depth and technical expertise beyond that of an undergraduate degree. In partnership with Lorain County Community College, you can earn a Biology degree from BGSU. Interior design professionals create exciting spaces that enhance quality of life, support human behavior and work processes, and boost productivity and efficiency. Latin is excellent preparation for students in pre-law, pre-dental and pre-medical programs. It is also excellent for students who wish to do graduate work in ancient art, history or philosophy. French is recognized as one of the two major international languages of business and diplomacy, and as a dominant language in developing countries. French Language Education prepares students for a career teaching french licensed by the State of Ohio. The goal of the MTM-ENGT is to provide students with advanced skills and technical knowledge. Individuals develop the ability to conduct applied research, along with leadership skill for managing and directing projects. The Master of Financial Economics program combines experiential learning and academic rigor to develop advanced knowledge and skills in the financial, economic and banking sector. Teach young children with & without disabilities in the inclusive settings of pre-kindergarten, kindergarten, primary grades & daycare centers/community agencies. For educators interested in literacy development from Pre-K-12, this program provides the necessary knowledge, skills, and dispositions needed for successful employment as a reading specialist. You needn't wait to enroll until you decide on a course of study. 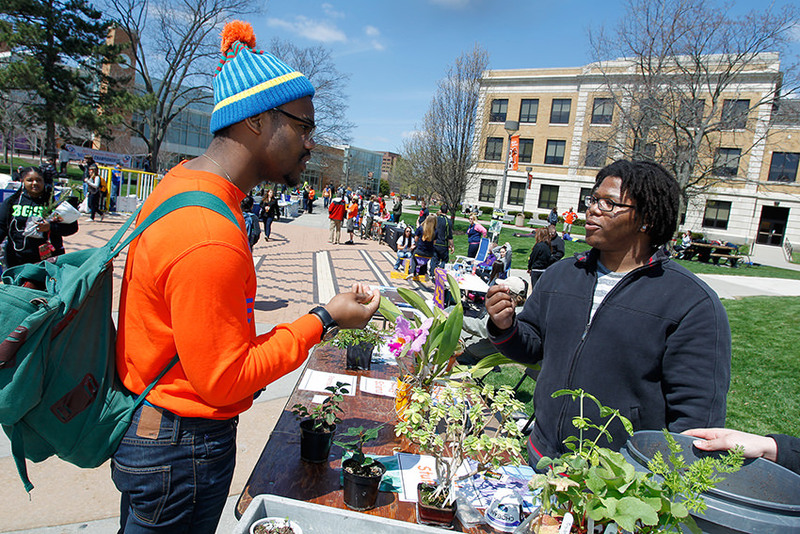 BGSU offers a number of options for students who wish to explore various programs before choosing a major. Students graduate with real-world knowledge of what it takes to succeed in the sport industry. As a Food and Nutrition student you will select cognates in many different areas, including biology, counseling, human development and public health. Statistics are central to decision making in industry and a core component of educational curricula at all levels. With BGSU you'll be prepared for a rewarding career in Statistics. Russian Language Education prepares students for a career teaching one of the eight languages licensed by the State of Ohio. Teachers with this endorsement will not only be prepared to provide leadership capabilities for local, state or national educational technology initiatives, but will also be licensed to teach computer science courses, K-12. Earn your master's degree online with eight-week courses to further your career. There is a growing demand for highly trained professionals with the knowledge and skills. The Master's of Education in Special Education with a focus on Assistive Technology is designed to prepare teachers and other professionals to support students by using assistive technology. Geospatial technology plays a key role in cartography, surveying, earth sciences, energy sciences, computer science, state and local governments, criminal justice and management. The Environmental Science program places special emphasis on interactions between humans and nature and the environmental conflicts which arise from competing uses of resources. The environmental policy and analysis program prepares you to consider the values that affect use of the world’s resources and learn to develop strategies that initiate change. The Bachelor of Science in Criminal Justice prepares future criminal justice practitioners in federal, state and local agencies involved in criminal justice. Media Production specialization produces graduates with creative and technical capabilities to produce the high quality audio and video products for multi-platform media environment. Spanish is one of the major languages of the world and also the language of the fastest growing minority within the United States. A Sociology degree will help you understand social reality to improve the human condition. Sociologists gather and analyze large quantities of data, with a goal of making life better for all. The program prepares students for graduate school in PT and is compatible with the admission requirements of professional schools. Nursing graduates provide research/theory-based nursing care to healthy and ill individuals, families and communities in diverse health care settings. Political scientists study how and why governments pursue certain policies, how these policies affect people, and how people can influence governments. The adolescence to young adult AYA program prepares graduates to teach grades 7-12, and to obtain an Adolescence to Young Adult teaching license in an area of specialization. The Physics program provides scientific skills in experimental investigation and theoretical understanding that prepare students to meet the challenges of a rapidly changing technological society. A multi-aged teacher education major program leading to teaching licensure in physical education. This licensure qualifies students to teach at the preschool through twelfth grade levels. Microbiology is the study of cellular microbes, which are living organisms that are too small to be seen with the naked eye, and a collection of even smaller acellular microbes. Medical laboratory scientists are clinical laboratory scientists who play a key role in the detection, diagnosis and treatment of disease. Construction management is a cutting-edge program for students who are interested in assuming leadership and management roles in the rapidly expanding construction industry. Italian Language Education prepares students for a career teaching italian language licensed by the State of Ohio. Latin Language Education prepares students for a career teaching Latin language licensed by the State of Ohio. The economics major emphasizes the development of analytical thinking and communication skills. Students who desire a liberal arts education should consider economics as a major. Have a career choice in mind, but undecided on a major? Enroll with The College of Musical Arts and we'll help you choose from six majors and specializations and the bachelor of musical arts degree. The theatre majors at BGSU are designed to create well-rounded individuals with a wide knowledge base in the liberal arts, as well as performance theatre. Africana studies minor highlights history, culture, social issues and achievements of peoples of African descent in the United States and other parts of the world. The bachelor of fine arts degree program offers comprehensive and rigorous training in the art of writing and develops students’ skills in preparation for numerous post-graduate careers. History is the investigation of change and continuity in human societies. The focus is to understand the development of these societies in order to enhance comprehension of both the past and present. Prepare for a career teaching Business and Marketing. BGSU is the only university in the state offering a licensure to teach marketing (DECA) in high schools. Chemistry is the study of how substances behave and how their properties are changed. Understanding chemistry is essential to many other fields of science such as biology, geology and medicine. World Language Education prepares students for a career teaching one of the eight languages licensed by the State of Ohio. Develop a solid foundation in basic biology, genetics, ecology, evolution and conservation biology. The Division of Three-Dimensional Studies at BGSU brings together disciplines within the arts, as well as the broader university community, and promotes lifelong learning. The discipline of Art History investigates how individuals and communities use the visual art to express their identities, beliefs and creative ideas across time and cultures. Biology is the study of life and serves as the basic science for such areas as medicine, agriculture and ecology. The theatre majors at BGSU are designed to create well-rounded individuals with a wide knowledge base in the liberal arts, as well as acting and directing in theatre. Aviation studies is an innovative program for students who are interested in pursuing a career as a professional pilot or in any related area in the aviation industry. The Computer Science major prepares you for many different career paths with numerous opportunities available throughout the United States and abroad. This program is multidisciplinary, and so provides students with multiple tool kits and perspectives helpful in answering hard questions facing social, political, legal and economic institutions. Earn a rich liberal arts education with an emphasis on understanding of women, gender, and sexuality focusing on race, class, age, and disability. The Dietetics major is an interdisciplinary degree program that focuses on the principles of human nutrition and foods. This specialization provides a strong background in chemistry with additional exposure to aspects of forensic science. The theatre majors at BGSU are designed to create well-rounded individuals with a wide knowledge base in the liberal arts, as well as theatre. A growing demand exists for Americans to become more familiar with Asia in business, government, information technology, and other areas. German Language Education prepares students for a career teaching german language licensed by the State of Ohio. Geology is the study of the origin, composition, structure and history of the Earth as revealed by rocks and fossils. Our program is one of Ohio's largest producers of teacher education graduates, and our graduates earn more on average than any other graduates in the state. The theatre majors at BGSU are designed to create well-rounded individuals with a wide knowledge base in the liberal arts, as well as musical theatre. Japanese Language Education prepares students for a career teaching japanese language licensed by the State of Ohio. The Bachelor of Science in Architecture degree is the first step in a series of educational and apprenticeship requirements leading to professional registration as a licensed architect. You know you want to assist people in a health or human area, but are uncertain which major is best for you. Enter the College of Health and Human Services as undecided, then explore your options. Forensic Biology is designed for students interested in the application of biology and DNA to forensic evidence and provides a strong background in molecular biology. The Allied Health program is a program for individuals with associate degrees in accredited allied health programs and medical fields. The Communication program equips you to cultivate critical thinking, intellectual and professional leadership, and ethical communication practices that foster social responsibility. American Culture Studies offers students an individual tailored program that focuses on the American experience, dedicated to the holistic study of American culture, society and institutions. Geography is a broad, integrative discipline that bridges the physical and social sciences to study the location, distribution and spatial relationships of human and non-human activity. The Ethnic Studies program fosters an understanding of the significance of racial and ethnic identities, social relations, and our contemporary realities have been shaped over time. The Digital Arts program focuses on 3D animation, digital imaging, interactive art, video art, virtual environments and gaming, mobile web app development and hybrid forms of digital art. The health care administration specialization is designed to prepare students to work in management and administration of hospitals, clinics and other organizations providing health care services. Curriculum & Teaching equips you with research and skills applicable to today’s classrooms. BGSU prepares graduates for positions in agencies and institutions that administer and deliver services for older adults. The Aviation Technical Management program prepares you to find employment in manufacturing, production and management areas. Prepare for a career in destination management, special event planning, strategic marketing, leadership and personnel management. Deciding on majors in education, human movement science, sport, tourism and leisure studies, or family and consumer sciences? Enroll in this undecided program. The adolescence to young adult AYA program prepares graduates to teach grades 7-12, and to obtain an Adolescence to Young Adult teaching license in Integrated Science Education. International Studies provides an interdisciplinary approach to international and global connections. Data science is an interdisciplinary field that utilizes data preparation, statistical methods, computer programming, predictive modeling, and machine learning to investigate problems. The Two-Dimensional Studies program is committed to providing a positive environment in which a range of artistic viewpoints can flourish. The theatre majors at BGSU are designed to create well-rounded individuals with a wide knowledge base in the liberal arts, as well as design and technical theatre. Aviation Management and Operations program focuses on the day-to-day and long-term business aspects of the aviation industry. The literature program emphasizes the study of literature and culture, critical thinking and writing as well as research skills. BGSU’s Film Studies major has a unique depth and breadth of resources. Students in the major develop expertise in analyzing individual films, contemporary culture, and the film and media industry. Gain real-world experience during internships and student teaching as you prepare for teaching workforce education and development with a focus on Family and Consumer Sciences. Enroll as an undecided major and receive advising about fine arts majors at Bowling Green State University. The special education/intervention specialist program prepares professionals for classrooms today in which individual student needs are being given more and more attention. Journalism includes daily and weekly newspapers, radio and television, online publications, public relations as well as business, industrial, technical and professional publications. 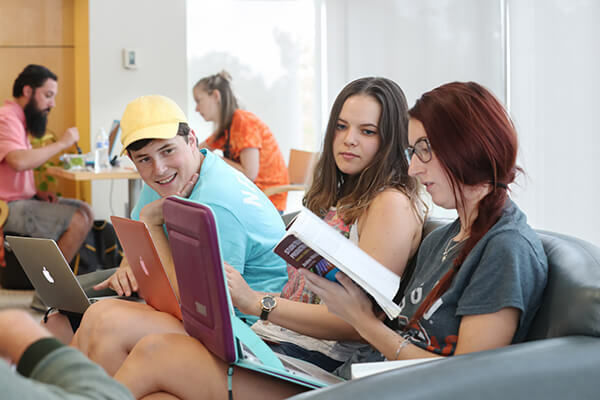 The major is designed to introduce students to the most important areas of classical civilization including art, history, philosophy, language and literature. BGSU’s film program is nationally recognized for top faculty and engaging student cohorts make it possible for emerging filmmakers to develop the knowledge and skills they need. The Educational Leadership program at Bowling Green State University prepares you to meet the most challenging issues facing school districts today. Classroom Technology program gives you hands-on, immediately applicable mastery of current digital tools and technology integration best practices. Analytics at BGSU is designed to position you for a successful career in analytics. Actuarial Science is a collection of mathematical and statistical techniques that make it possible to calculate the monetary value of uncertain future events.